After quickly zipping by the camera near Audi HQ last month, the Tesla Model X is to debut at the Geneva International Motor show next month (March 3-13th) according to an email we’ve received and translated. We are delighted to welcome you again this year on our stand at the motor show in Geneva. 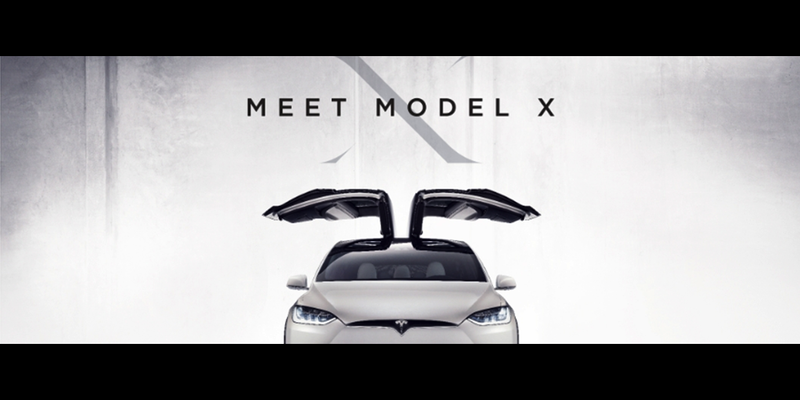 In addition to the Model S we provide for the first time the safest, most versatile and fastest SUV in history before – the Model X. It combines the practical advantages of an SUV with the high security and performance requirements of Tesla. The striking Falcon Wing-wing doors and seats for up to seven people make the Model X to a vehicle that is more practical in every respect than other SUVs. Our Product Specialists will advise you on the latest product options and bring you the advantages of our technology closer. Tesla says that the estimated delivery for new Model X reservations is the latter half of 2016 which will soon push into 2017. Tesla opened orders for the Model X in China with “Signature Red” for the New Year three weeks ago and aims to start delivering Model X in China in Q2. CEO Elon Musk recently announced that Tesla would be entering Ireland closing in on a presence in most of Western Europe. With the Moto show and the vehicles showing up near the plant, it is only a matter of time before the Model X starts shipping to EU customers (besides Audi).